360 degree rotating surface. Approx 250mm diameter (10") 30kg maximum load. 3 x HEAVY DUTY DYNAMIC DJ, GROUP OR KARAOKE MICROPHONE SET IN CARRY CASE - LAST SET! Cloud Electronics CX132 2 Zone Mixer - Used Item fully tested. Used Cloud Electronics CX132 2 Zone Mixer. primarily designed to satisfy the needs of leisure venues and retail outlets. They are supplied with a 6.35 mm adaptor so can be used in a wide variety of equipment including metal dectectors, computers and laptops, MP3 Players as well as guitars, amps and mixers. Inter-M - PA4000A 120W, 6 Input Amplifier - Used Item - Some scratches and marks on casing. Fully tested in good working order . Enjoy a funky designer look for less and bring a bit of cool to your tunes - these affordable headphones feature iconic flag design, for a 'Cool" look whether you're out and about, chilling with friends or walking to work. 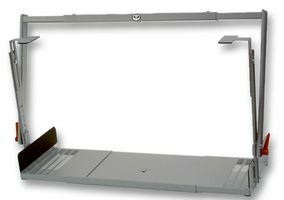 Used Euroscreen Connect Manual Projector Screen. Front End 2 Zone Mixer in great condition.